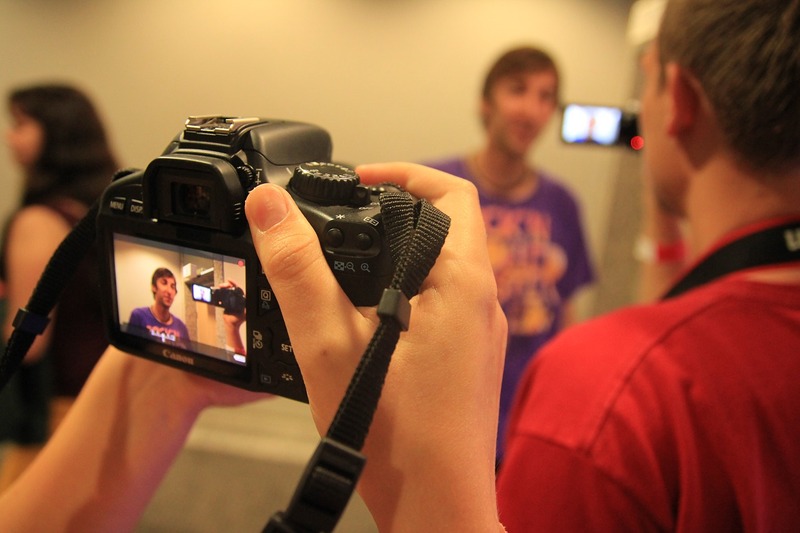 For many people, trying to record a video is a tense task. It’s a video-version of the Hawthorne Effect. People act differently when they’re being watched. Many people can rattle off the perks of their product and the benefits of their brand without a moment’s hesitation whenever they’re asked. Yet, once the red light goes on, it seems like getting a consistent recording is impossible. This could be a case of bad nerves, or it could be because people realize they can always simply stop the take and restart. However, this can be counteractive to progress – and therefore, it’s something people should avoid in their video marketing. Here’s why start-stop recording sessions should be stopped altogether – or maybe more accurately, why the recording should continue. An old adage in show business proclaimed, “the show must go on.” People kept performing for the camera no matter what happened. The same approach should be taken for video marketers. It’s easy to simply scrap a recording take because of a stumble across words, a missed thought, unanticipated background noise, or any other issue that may arise. However, the more a person does this, the easier it becomes. It’s almost as if knowing the recording can be stopped and started over make a person more inclined to take that option. It’s the same principle behind why people procrastinate. If they know they have extra time to do something, they feel no rush. Yet, this often leaves big projects saved for the last moment. The same can be said of videos – if one session results in a dozen scrapped recordings, the release date for that video could be pushed back indefinitely. So how does a person get past the urge to restart their recordings? For starters, they should vow that once the recording starts, it doesn’t stop. But how can the video’s star be sure they’ll nail everything in one take? The first way to do this is by creating a script – it doesn’t have to be word for word. Use a loose format of talking points if it makes it easier to remember. The best part? Even with a script, people don’t have to record their video in one take. If there’s a slip up, pause for a few seconds so a clean edit can be made, then let Orlando video production specialists help guide the editing process to ensure the end result looks and sounds like perfection.